Big Universe: a powerful but easy-to-use literacy platform that includes a large library of leveled non-fiction and fiction e-books accessible to all of our students from school or home. Renaissance Learning: the most widely-used reading program in K–12 schools. Students read a book, take an Accelerated Reading (AR) quiz, and get immediate feedback. Teachers can assign assessments and monitor individual progress. Fast ForWord: a different online reading intervention that targets foundational phonemic awareness, language, memory, attention, processing and sequencing skills. ST Math: a game-based instructional software for K–12, designed to boost math comprehension and proficiency through visual learning. Our My-Math curriculum by McGraw-Hill and interactive science curriculum by Pearson both provide digital tools including instructional videos and tutorials that can be accessed by students and parents from home. Additionally, both programs provide the digital print of the textbooks and an entire online library. 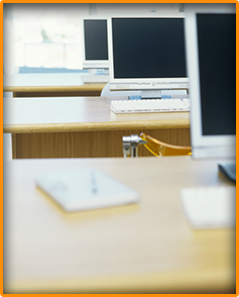 The Paloma School District provides a one-to-one technology environment for all of our students. Devices include: iPads for kindergarten and first grade, Chromebooks for grades second through eighth, and tablets for our jr. high students. Furthermore, every classroom is equipped with an interactive projector, allowing an immersive experience that helps teachers teach and students learn. The jr. high is also equipped with an Interactive Video Lab (IVL), which allows the teacher and students interactive visual/audio access to science and math labs around Arizona and beyond.